11/03/15 Which Political Parties Care For Animals? 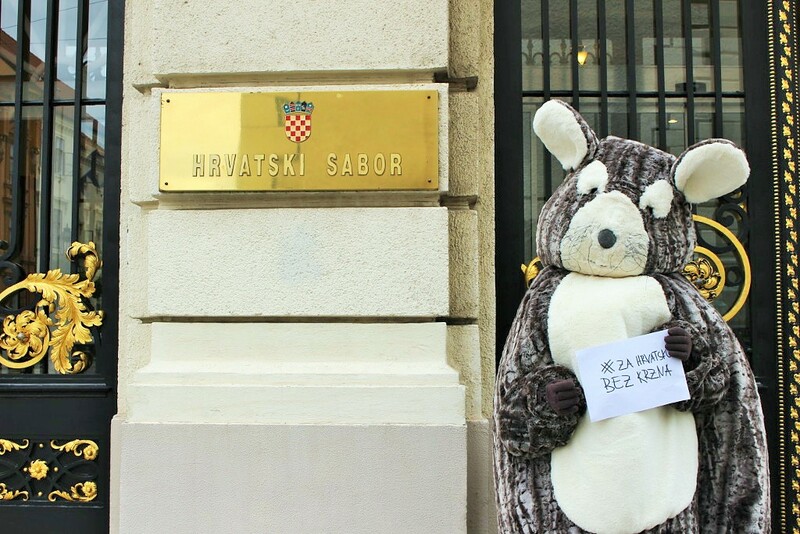 After Animal friends Croatia sent a letter to the parties that have nominated in the upcoming parliamentary elections, they received the first answers. HDZ, HNS, HSP dr. Ante Starcevic, Hrvatski Laburisti (Labour Party), ORaH and Zivi zid presented their position on animal protection and sustainable living, stating how they plan to improve and enhance the Animal Protection Act and animal protection in Croatia in general. Further answers are awaited from the other parties. The parties have clearly declared against breeding chinchillas and other animals for fur production purposes and against the legislation of bow and arrow hunting. Also, the parties have declared regarding the ban on the killing of abandoned animals, a ban on animal circuses, a ban on keeping dogs tied on a leash, a ban on the use of horses for hauling forest timber, and also favour promotion of vegetable nutrition and other current issues. Animal welfare is not irrelevant nor even second-rate political issue. On the contrary, if we neglect treatment of animals and the environment, it always has a negative effect on quality of life. The political party for Animal Rights has its representative in the European Parliament and political parties in the Netherlands, Germany, Austria, Italy, Spain, United Kingdom, Portugal, Denmark, Sweden, Canada, Australia, United States and elsewhere have been working to promote animal rights for years. Therefore, Croatian citizens expect from political parties the right approach towards animal protection and animal rights, but they also want to see a clear implementation of animal protection in practice. Animal Frineds Croatia are aware that the laws which define the framework for the protection of animals are speciesist because they protect economic and political interests of people primarily and animals are, mostly, only protected within the limits that do not threaten those interests, which is unacceptable. But, Animal Friends obliged political parties to follow the modern civilization achievements and to stand up for a more comprehensive animal protection and penalising of violators. The voters want to support the programs of those parties that are consistent and intend to bring into practice real changes for animals.